According to the second law of thermodynamics, all processes in nature occur with an increase in entropy. This means that the object left will be affected by external forces over time and will move to another state. For example, an abandoned house, in what good condition it would not be in the end will be destroyed. Cracks will appear, the foundation will squeeze and it will be problematic or impossible to restore it. But if you constantly look after the building, carrying out the necessary repairs, then it can serve for a long time. Such processes act on everything that surrounds us and the lawn will not be an exception. Today there are a large number of high-profile advertising campaigns about grass mixtures, which grow on their own and almost shave themselves. But remember that all this is just a marketing gimmick. In fact, everything is a little different and the lawn requires good care. This work can be divided into several stages, which coincide with seasonal changes. From this article you will learn how to care for a lawn. In fact, lawn grass is quite sensitive to temperature changes and is especially bad at tolerating low ones. In the cold season, it hibernates, growth stops, and the root system is looking forward to the warm weather. It is better that in winter nothing is on the lawn, it is necessary to remove all swings and other objects. If you see that the first frosts have set in, then reduce the walks across the planted area, reduce them to the minimum necessary. This is important because during this period the structure of the sheet is very easy to break, and later you will have to sweat a lot to remove all the bald spots, and worse - to make a complete replacement of some areas of the lawn. If snow falls, in no case try to clean it and take it out. 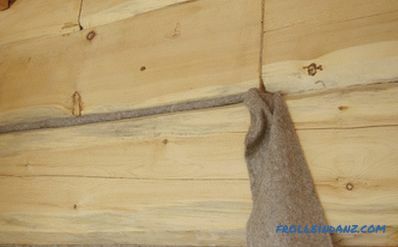 If you collect snow in the yard, then cover them with a lawn, this will allow you to create a kind of fur coat for him, under which the sprouts will feel comfortable. The best layer is 25-30 cm. With the arrival of spring, this snow, after thawing, will provide the ground with the necessary moisture. It is bad when you have to tighten the nail with a screwdriver and hammer the bolt. Well, when all the tools are at hand and you can take the necessary in a particular situation. The same principle applies to gardening supplies. 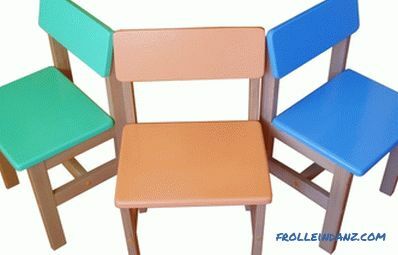 The second part of February is a great time to check if everything is left in its place and is in a state of readiness. 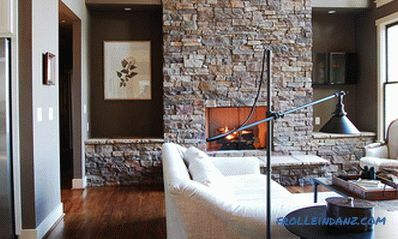 It is better to collect all the rakes, choppers and shovels in the same room. Check the lawn mower, scarifier, aerator and other products. Lubricate all rubbing parts that require it. Inspect the blade and sharpen, because the sharp cutting elements - the key to the best processing. Analyze what fertilizers are available and what else must be purchased. Do you have enough sand and other substances to be used for mulching. Make a list and plan the necessary amount in your budget. With the arrival of spring, do not rush to panic and make rash decisions. 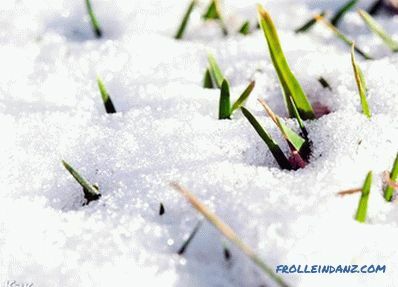 When the snow melts, and the picture is more or less clear, then just walk around the perimeter of your lawn. Carefully inspect all parts of it, assess whether the bald spots on any areas, perhaps because of the dead parts of the disease began to develop. Remember that the ground is still quite soft and traces or ruts may form, so it is better to move along the edges of the lawn. The next step is to organize the drainage system. 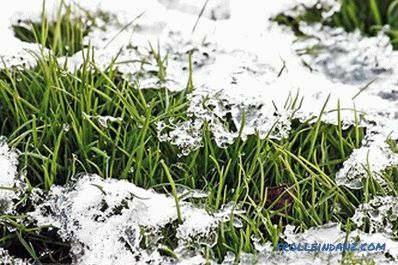 If there is too much melt water, then the root system may start to rot, especially in conditions of early spring, when the sun is not enough. 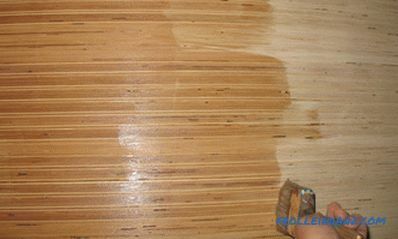 In such a situation, make small grooves along the edges, which will allow the liquid to leave the territory. Everybody knows the fact that when water freezes, it starts to expand. If it falls into any cavity, and this process takes place there, then this fossa increases. 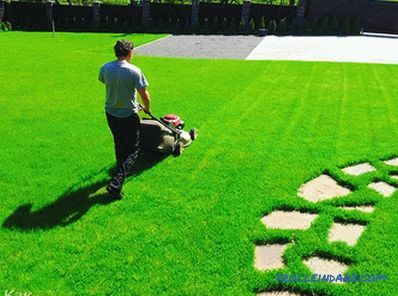 On the lawn, such a process can lead to the fact that the top layer of sod, under which liquid accumulated during the thaws and which crystallized during frosts, will be lifted and detached from the ground, therefore the first task will be leveling all the tussocks that could have formed. 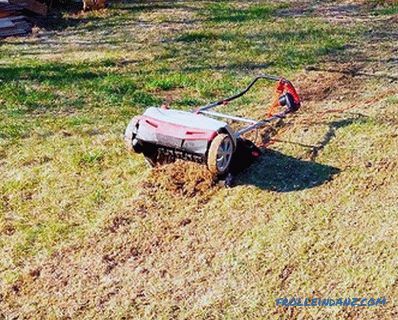 The manual roller with which the earth was rammed before landing will perfectly help with this task. Choose a time when the main part of the water has already been absorbed, but the lawn is not completely dry. Walk across the square, tamping protruding bumps. After this is done, the grass must be allowed to breathe. 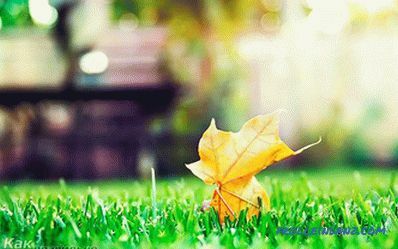 During late autumn and winter time, various debris could be applied to the lawn. These can be branches, bark, moss, etc.A layer of felt could also form - dried, dead grass that remains on the surface. This entire layer prevents the normal penetration of oxygen to both the shoots and the root system, so it must be cleaned up. To do this, use a tough ordinary or special garden rake. Comb the entire area, carefully collecting all the extra elements. 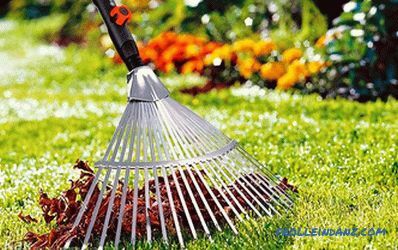 If your lawn has already reached sufficient maturity - more than 1 year - or its territory is large enough, then you can work with a rake until the autumn. In such cases, mechanical devices are useful. We opened access to oxygen, now it is important that it reaches the root system. For this we need a rotator and aerator. Aeration is the piercing of the top layer of sod to facilitate the access of water and air. If you have a small area, you should not buy expensive equipment, you can use ordinary forks or special nozzles with spikes on shoes. It will be enough just to walk around the perimeter. If the territory is such that you have to walk on it all day, or maybe not one, then use the devices on gasoline engines. Mechanical aerators pierce the soil at 10-15 cm, it would be good to fill the puncture site over time with sand, which has good flow capacity for water. Aeration can be carried out locally - where there is significant condensation. If the lawn has already grown, then it should be trimmed to the minimum allowable height. Do not verticalize on wet or wet soil, let the area dry well. Otherwise, you just make a swamp on the site and do not achieve the desired result. The penetration depth is set according to the layer of the formed felt. Before you decide to perform aeration, saturate the lawn with moisture for several days. After you have completed these two operations, water the lawn well and let it rest for a few days. The winter period is exhausting for the grass, so it is especially important in the spring to feed it. Water the lawn well and let it soak for a few hours; if it was watered overnight, wait for the herbs to dry in the daytime so that the minerals do not settle on the surface and burn the leaves. The best fertilizer will be compost, so never burn fallen leaves, weed and organic food waste. Collect them in special boxes and pits in order to apply them after the fermentation process. Apply a layer of 2-3 cm to the surface and spread it evenly with a rake. It will be a good protection from the scorching sun, perfectly retains moisture, and also nourishes the necessary "vitamins." If you do not stock up on compost, then purchase complex fertilizers in specialized stores. Typically, the concentration and flow rate are indicated on the packs, so you can decide on the spot. After performing all these operations, it remains only to water and trim the lawn in time, enjoying the beauty. Behind all this fuss, it is important not to forget about mulching. It must be performed in late April, early May. 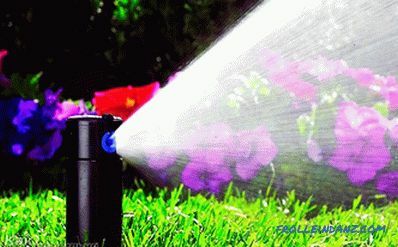 You want it or not, but constant watering leads to the fact that certain irregularities appear on the surface of the lawn. To compensate for this, it is necessary to fill this space with something. The easiest way to do this is if you remove the collection box during one of the cuts, and then the crushed waste will be evenly disposed of. If there are grounds for this, then you can prepare a special mixture of peat, soil and sand. The ratio will depend on the type of soil. If it is a dense layer, then 1: 2: 4, if sandstones prevail, then 4: 2: 1. Usually, before the first summer month the lawn is gaining its full strength and you can see whether everything was done correctly in the spring. In June, it is necessary to produce timely mowing and watering after each procedure. If you missed the moment and the grass managed to blow out well, then it is better to cut the haircut in several stages, cutting off a third of the plant. Always monitor the condition of the knives, if they are blunt, then you will break off the shoots and harm them. 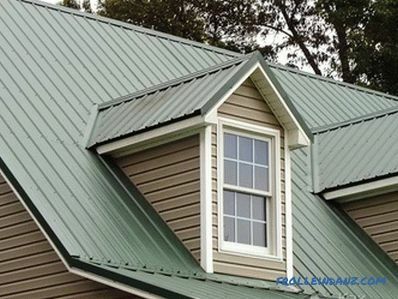 In July, it is worthwhile to continue timely beveling, as well as watering.Do not regret water, because this month is usually the highest temperature, which contributes to good evaporation. 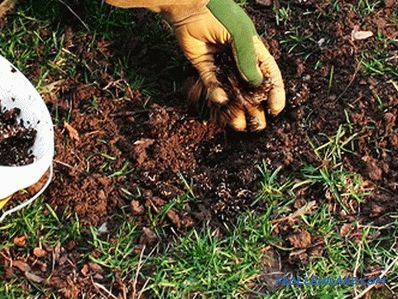 Approximately in the middle of the month it is necessary to make complex fertilizers, as well as perform aeration, because by this time the soil has already managed to ram up. August and September are the months when the temperature starts to drop, but still does not reach negative values. This is a good time to repair the lawn, if necessary. A fresh batch of seeds is sown in the bald spots or pieces are transplanted from the edges. We continue watering and cutting. 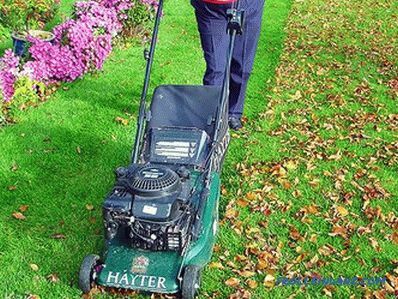 In October, along with regular mowing and replenishment of the water balance, it will be important to give strength for the lawn to survive the winter. To do this, make complex fertilizers with a high content of phosphorus and potassium. It is important that these mixtures have a long lasting effect with a planned disintegration time. Mineral substances are made on the same principle as in the spring. Once again aeration and, if necessary, verticulation. After aeration, sand is necessarily introduced into the formed pores in order to fill the space. November will be the final preparatory month. It is now the period when it is important to perform the latest haircut. Remember that the total length of the shoots that goes under the snow should not be shorter than 5 cm. If the size is large, then the probability of freezing is higher, the same result is true for the inverse. At this time, the foliage will surely be applied to the lawn, it will need to be removed so that the process of photosynthesis will continue without a hitch. As the air and soil temperatures decrease, the loads that will be placed on the cover should also be reduced. By the end of autumn, there is no need for watering and cutting. With the onset of winter, we give the lawn the opportunity to quietly enter the rest period. Never fear anything new. Perhaps not everything will work out the first time, but this is not a reason to give up. Refer to this guide, and you can always find effective advice. Never postpone until later, because you can suffer losses that are difficult to fill. Your lawn will delight you as much as you want to take care of it. If possible, replace all hand tools with electric or gasoline, then it will take less time to leave and more to enjoy. If possible, produce fertilizer yourself, it will save. Be more often in nature, it will give you vitality and help you enjoy every day. Which lawn to choose for the garden?